in GBP, GBP to CNY. The Pound (GBP) has traded in a narrow range against the Chinese Yuan (CNY) today, although the GBP/CNY exchange rate is still near a two-week high. This steady movement comes at a time of continued Brexit uncertainty, with fresh worries about the Irish border issue limiting Pound Sterling demand. Looking ahead, the next major UK economic data will be Friday’s GDP growth rate readings for Q3 2018. Covering estimates of economic activity, both the quarter-on-quarter and year-on-year readings are expected to show an acceleration. Higher GDP readings could cause an immediate Pound to Yuan exchange rate rise, given the positive implications of faster GDP growth. Will UK Earnings Data Limit Pound to Yuan (GBP/CNY) Exchange Rate Gains? Moving onto next week, the Pound to Yuan (GBP/CNY) exchange rate could be influenced by Tuesday’s jobless claims, unemployment rate and earnings data. In the best-case scenario for GBP traders, the number of jobless claimants will fall, lower unemployment will be reported and the pace of wage growth will accelerate. Unfortunately, current forecasts are for a slowdown in wage growth including bonuses and no change to the unemployment rate. The jobless claims reading could be considered positive, if it shows a shift from 18.5k claims reported in September to 3.2k in October. All three readings will likely be considered in the context of whether they could affect the likelihood of a Bank of England (BoE) interest rate hike in 2019. The earnings figures are the strongest determiner on a rate hike – if the pace of wage growth accelerates then the Pound could trade higher against the Yuan. Higher earnings for UK households will let them absorb the shock of an interest rate hike, so the Pound could advance even if unemployment and jobless claims increase. 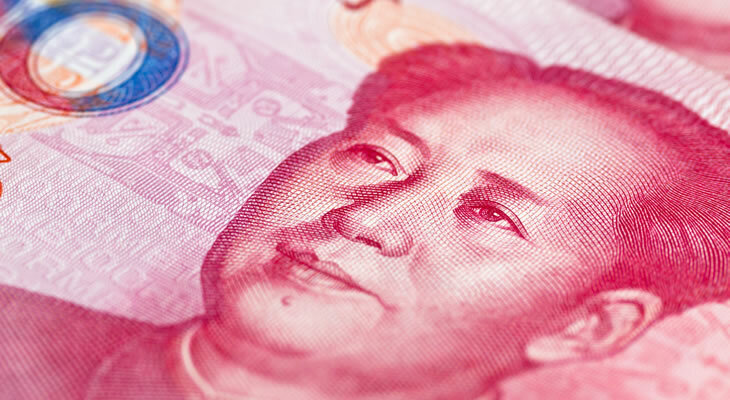 The Chinese Yuan (CNY) has held steady against the Pound (GBP) today, but could rise sharply on Thursday’s trade balance reading. Covering levels of imports and exports during October, the trade balance figure is tipped to show a sizable surplus expansion from 31.69bn to 36.27bn. China has maintained a trading surplus since April 2018, so another positive reading could reassure Yuan traders and trigger a CNY/GBP exchange rate rise. Another factor that could support the Chinese Yuan (CNY) in the near-term will be any kind of progress in talks between US and Chinese trade officials. ‘Both China and the US would love to see greater trade and economic cooperation. ‘The Chinese side is ready to have discussions with the US on issues of mutual concern and work for a solution on trade acceptable to both sides. The two nations have been at loggerheads ever since President Donald Trump took a combative attitude with China over the US trade deficit, which led to tariffs. As both sides count their losses from new import charges, there are calls to form a truce to prevent any further economic damage. It remains to be seen whether the two governments will come to terms, but if efforts are made to patch up relations then the Yuan could rise against the Pound.